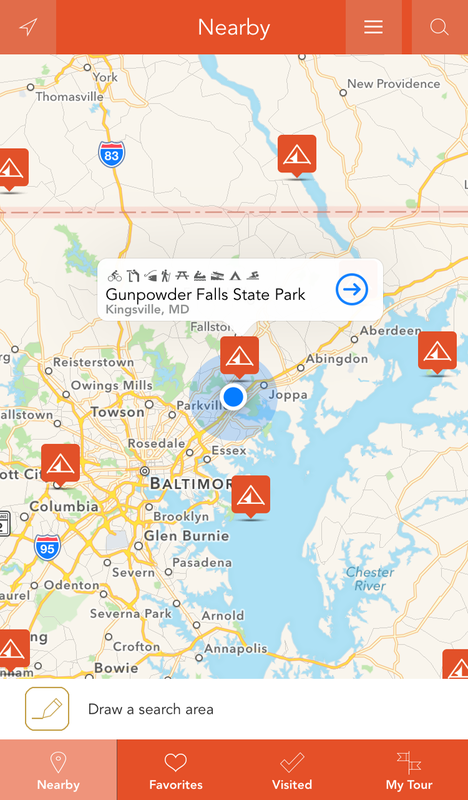 Park Points is a series of native iOS apps written in Swift that provide a user with information about nearby parks that permit a certain activity. The codebase was written using target-specific configuration files (written as Swift structs) to allow customization of appearance as well as supply the app with the current apps activity. Currently there are apps for Biking, Hiking, Birdwatching and Camping and each offer the user a host of features including directions to parks, a drawable search to filter locations on the map, and the ability to plot multiple parks along a route to create a tour.